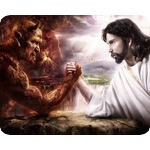 Whatever your beliefs, this shirt is a REAL eye-catcher! The picture is absolutely stunning and one of the best out there. A shirt like this is very scarce, so grab it while you can as it is the only one I have left! Pure Virgin Coconut Oil is well known for its skin moisturizing qualities, therefore it is essential for your personal body care and ideal for the most sensitive skins, including babies. 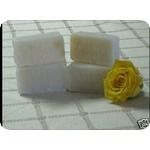 This special Virgin Coconut Oil handmade soap makes an ideal gift for family and friends. This all natural gift is made from natural ingredients. Coconut oil has been used by Pacific Islanders for centuries as a major part of their diet and for everyday usage. It has long been considered as 'The Tree of Life!'. "The growing virgin coconut oil industry in Fiji is supporting many poor communities on remote islands, who have few opportunities for earning money. For them, the tree of life can also provide their livelihoods. Coconuts are part of the heritage of Pacific islanders, and virgin coconut oil is a remarkable product that we can all benefit from." from Fiji Times 16 Feb, 2010 by Anne Moorhead, a science writer with Green Ink (UK). Accepted Do no hesitate to contact me with any questions. BUY 3 JARS and SAVE on POSTAGE! This extra virgin coconut oil is made from organically grown and harvested coconuts from Fiji. Using a non-refined, cold pressed coconut oil is the perfect way to get all of the goodness contained within. This is packaged in a BPA free plastic container. It has a raw, natural, coconut flavour that is very pleasant used in many applications. It solidifies in cool temperatures below 18°c, but will liquefy when it is warmer. This oil is very stable and can change from a liquid to a solid and back again without effecting the quality. Advantages of using organic extra virgin cold pressed coconut oil? • Hair Care conditioner treatment (stops hair failling out and makes it silky and shiny) In the past there has been a lot of theoretical scare mongering regarding saturated fats as being bad for us. This has recently been debunked and in some cases shown that many polyunsaturated fats are bad for us, particularly when heated as they can turn rancid. This wonderful oil is rich in lauric acid (about 50%), which can increase total serum cholesterol, but mostly high-density lipoprotein (HDL) or good cholesterol. Lauric Acid is found in human breast milk, a substance that is well known to have antimicrobial properties that protect infants from illness. In 2003, the American Journal of Clinical Nutrition reported that Lauric Acid has been characterised as having a favourable effect on total cholesterol than any other fatty acid, saturated or not. (Source: Mensink RP, Zock PL, Kester ADM, Katan MB (May 2003). "Effects of dietary fatty acids and carbohydrates on the ratio of serum total to HDL cholesterol and on serum lipids and apolipoproteins: a meta-analysis of 60 controlled trials". American Journal of Clinical Nutrition 77 (5): 1146–1155. ISSN 0002-9165. PMID 12716665.). There have been many other clinical scientific studies written about coconut oil and it is still a field being widely researched. Coconut oil contains no cholesterol or no Trans Fats, as it is naturally derived from the coconut. Eating coconut oil in the diet has many benefits and it is a great non-dairy substitute for butter for cooking, baking and spreads. Coconut oil is stable oil; it has a high smoke point of 177°c and can be used for all kinds of cooking applications. Not only is coconut oil good to eat, it is good for your skin. As a natural, organic product, it can even be used on the face. Many people have reported that they have seen a reduction in wrinkles and age spots after using coconut oil on the face and body, after all it is a natural, antimicrobial oil. 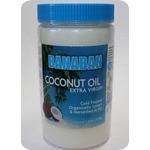 This Banaban brand of organic, cold pressed natural coconut oil is truly the best there is on the market, it is the real deal. 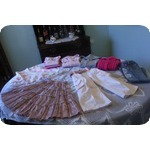 Do no hesitate to contact me with any questions. 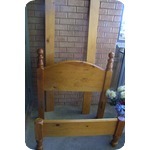 This is a rustic-style heavy solid timber single size bedhead, foot and base sides. Has some marks but would come up great with a touch of varnish. This beautiful stylish, tailored coat jacket is an Atelier creation. It is made of Mohair and wool, has a notched collar, 2 front slanted pockets, is fully lined and has a six button double-breasted closure. Team with skirt or trousers, this lovely coat is heavy and warm and will never be out of fashion as it is a classic design. 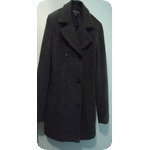 This beautiful stylish coat is made of wool and Mohair, it has no collar, two pockets and has a two button closure, and is fully lined. Team with skirt or trousers (it will match any colour); this lovely coat is heavy and warm and will never be out of fashion as it is a simple but elegant design. For sale is this exquisite vintage estate fine jewellery necklace. It is an exceptional fine quality 18ct gold and Agate antique jewellery piece, valued by Jeweller at $1500! 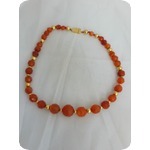 The necklace is set with large gold beads and beautiful, high quality, faceted orange Agate gemstones. This fabulous jewellery piece is in extremely good condition and weighs a heavy 50.3 grams with LOTS of gold! OWN A PIECE OF THE PAST!